Crafty Garden Mom: Bloggers' Quilt Festival! I'm linking up with the Bloggers' Quilt Festival and sharing my most recent finished quilt, the "Pink and Gray Baby Quilt." I made this for my niece, who was born just 1 month ago. This is my brother and SIL's first baby, and they didn't want the traditional pastel pink for a girl. They decorated the nursery in a deep pink/fuschia and various shades of gray. They go in for a modern aesthetic in their overall decorating style, so I knew they'd appreciate a quilt with simple shapes and clean lines. I did straight line quilting over the entire quilt. For the back I used the new Matsuri line from Connecting Threads, in the cherry blossom print. It turned out to be the perfect backing fabric, since my SIL used cherry blossoms as a graphic on one wall of the nursery! I was able to give this little quilt to them in person a few weeks ago when I went to try and smuggle my absolutely adorable niece home with me, visit them all. It seems a bit of a "grown-up" type of quilt for such a little baby, and I'll probably make her another one when she's old enough to beg for Disney Princess or Dora Explorer fabrics in a quilt. But for now, it fits the family and nursery well and I was so happy to make it for her. If you haven't already go check out all of the fabulous quilts and fun going on over at the Blogger's Quilt Festival! And link up your project so we can all see. Beautiful quilt for a lovely little girl. Love the colour combo, and that backing fabric really is beautiful! Fantastic! I love the clean lines. Very pretty - that backing fabric is perfect! A very nice quilt! And you are so precize in quilting! Good job. Very sleek and sassy; I love it! The bordered blocks are quickly becoming a classic quilt design and with your choice of fabrics you have made a stunner! What a beautiful modern quilt and what a lucky baby to have you make it for her. The quilting is impressive. Beautiful!!! I especially love the quilting on this-- the resulting texture just takes it to another level. And that back! Ooooo... Happy! Thanks for sharing!!! This is beautiful, Tanesha! Love the hot pink and grey! Very modern! Such a striking quilt. The gray fabrics are very subtle and so beautiful with the pink. And the back....I love it!! I'm sure it will be well loved! It's a beautiful quilt. I love the backing on it too. I really the choice of the bright pink. Congratulations on your new niece! What a stroke of luck to find that cherry blossom print! Beautiful! I would never have thought to pair pink and grey. I love the backing fabric too. i LOVE that quilt! 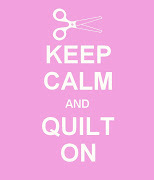 very simple - your straight line quilting is perfect!! i can't seem to baste well enough to do that!! the backing is great, too. i have a print like that in yellow and grey, but didn't realize connecting threads had something like it! I have seen black and pink, but never grey and pink. I love the pizzazz the colors give this quilt! What a beautiful quilt with a classic modern aesthetic! The quilting is perfect. Happy BQF! This is seriously an awesome quilt. Love the fabric, the quilting, the front, the back...wow. This is really pretty! I love all the straight line quilting on it...oh the patience that must have involved. So pretty! Perfect for a baby girl since she can definitely grow into it! Thanks for sharing it with us! Such a lovely quilt, front and back. Great colour combo, and as for the straight line quilting......love it! gorgeous! I love the colours so much! Beautiful! I love the colors, even for a baby. This is just such a beautiful baby quilt! I love the colors! Great job! I love this! Great colors. I immediately thought of that cherry blossom fabric when I heard your brother wanted cherry blossoms on his daughter's quilt. I fell in love with it. How do you feel the thinner fabric will wear? I haven't used mine and have been a tiny bit afraid about the thin nature of the fabric. I really love the quilting on this beautiful quilt. Nice work! Perfect modern day baby quilt. I love the straight line quilting you did. Can't even imagine how long it took or how many bobbins you went through. Love the backing fabric, too! Hi Tanesha, that is a wonderful babyquilt, your brother and family are so lucky!! love the colorchoices and the quilting is great!! I found this via pinterest. I absolutely love this quilt! 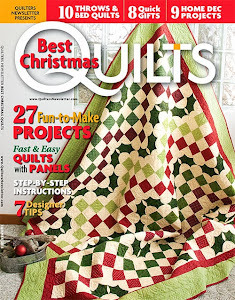 Love the colors, the quilting, etc. I am having a baby boy in a few months and wouldn't mind making something similar but with teal and gray. Would you mind sharing what pattern/tutorial/calculations you used? I have never made a quilt other than a doll quilt so I'm not sure how to figure everything out when it comes to the dimensions. Thanks!